Synopsis: On June 10, 2007, Carmen Blandin Tarleton’s estranged husband broke into her rural Vermont home, beat her with a baseball bat, and doused her with industrial-strength lye. 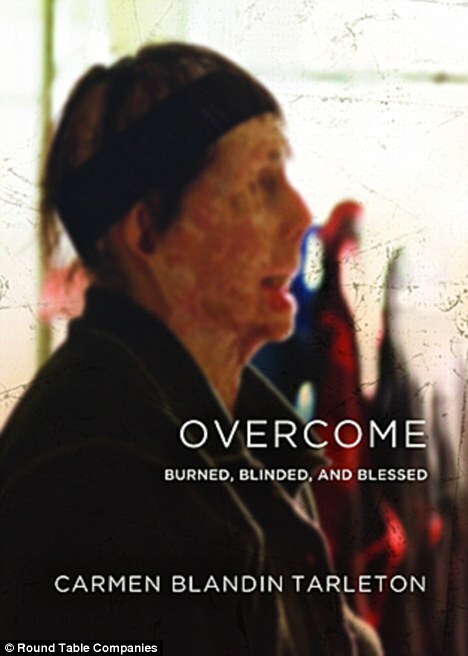 Doctors called it “THE MOST HORRIFIC INJURY A HUMAN BEING COULD SUFFER.” Tarleton spent the next three and a half months in a medically induced coma, and when she awoke, it was to an unimaginable reality: she was blind and permanently disfigured, with burns covering more than eighty percent of her body. Her recovery would include months of painful rehab, dozens of surgeries, and total dependence on family, friends, and strangers for physical and financial care. With so much taken away, no one could have anticipated what Tarleton would gain from her experience: an awakening. A purpose. Joy. By sharing her struggles and ultimate victory over catastrophic loss, Tarleton proves that life is a choice—and, in the process, offers a rare glimpse into the best and worst corners of the human heart. Review: From the opening page I was drawn into this story. Carmen's story could be anyone's story. How many people do you know who are young divorced women thinking they found love only to find that their new mate has flaws and keeps secrets? Quite a few I bet. But of course no one thinks that one day their ex love will come back and bring such a nightmare of pain, loss and agony. This is not so much a book about her struggle but more about survival, and not just survival but victory. That's not to say that Carmen didn't have her moments of doubt, her moments of anger, her moments of despair. We've all heard stories of people who have overcome cancer and told how it changed their lives, that living so close to death was a wake up call to live. Well this is similar, Carmen used what happened to her to help others. She chose to share her story, Carmen's determination and strength can teach us all what is important in life, to not dwell on the past, or be overwhelmed by what we have lost and instead focus on the things we love, the things that inspire. Life is a choice, you can choose to live it or you can choose to waste it being miserable or unhappy...which will you do? Turns out that today May 2, 2013 I heard on the radio that Carmen received a face transplant. I wish her all the best!